Welcome to the Mel & Enid Zuckerman College of Public Health! 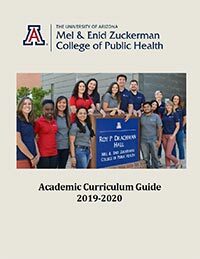 Arizona's first and only accredited college of public health, the Mel and Enid Zuckerman College of Public Health is uniquely situated in the culturally rich and diverse Southwest. Distinguished for our outstanding community-based research and for our focus on eliminating health disparities, the Zuckerman College of Public Health offers opportunities to students for education, research, and community involvement. 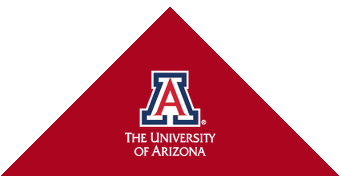 The College's interdisciplinary activities are enhanced by being part of the Health Sciences Center with campuses in Tucson and Phoenix. Learn more about our graduate degree programs, requirements, and application deadlines. Get information about the application and admissions process. Talk with us at an upcoming admissions event! Information for students who would like to take a class or two. Tuition and fees for all programs, and learn about financial assistance opportunities. Planning a visit to campus? Join an information session or contact us! including diabetes, obesity, and cancer. with expertise in Hispanic and American Indian health. with projects along the US/Mexico border, Nepal, China, Kenya, and other parts of the world. with intensive, week-long courses on border health, rural health, urban health, and maternal and child health. The College of Public Health consistently ranks among the top 5 of the 49 accredited schools of public health for American Indian and Hispanic students, and is home to a large cohort of Returned Peace Corps Volunteers. including the Public Health Student Alliance, the Global Health Alliance, and the Student Environmental Health Sciences Association. Drachman Hall was built in 2006 and features high-tech, comfortable classroom space. with small, discussion-based classes and strong faculty mentoring. have 350 days of sun each year and outstanding opportunities for hiking, cycling, and other outdoor activities.